Bamboo Tree 1mt made on natural Bamboo stems with realistic leaves. 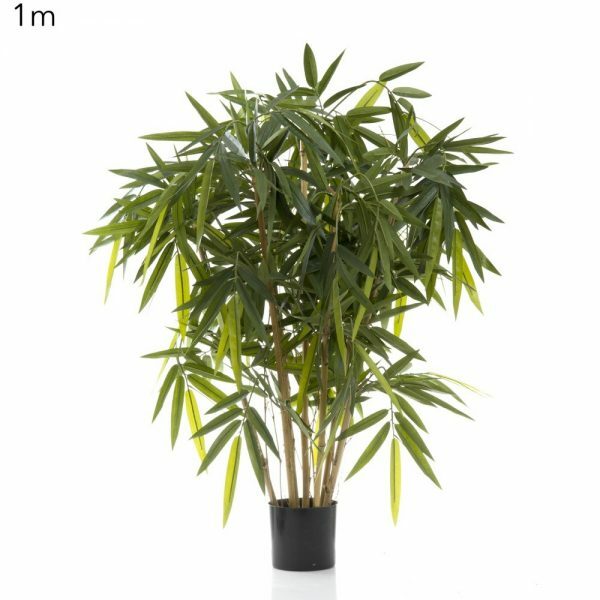 Bamboo Tree 1mt is a great little patio plant. 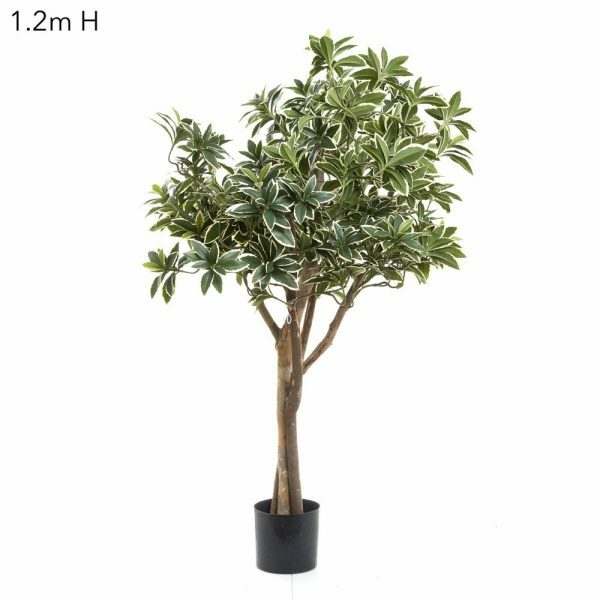 Or put one of these into a pot in your office. 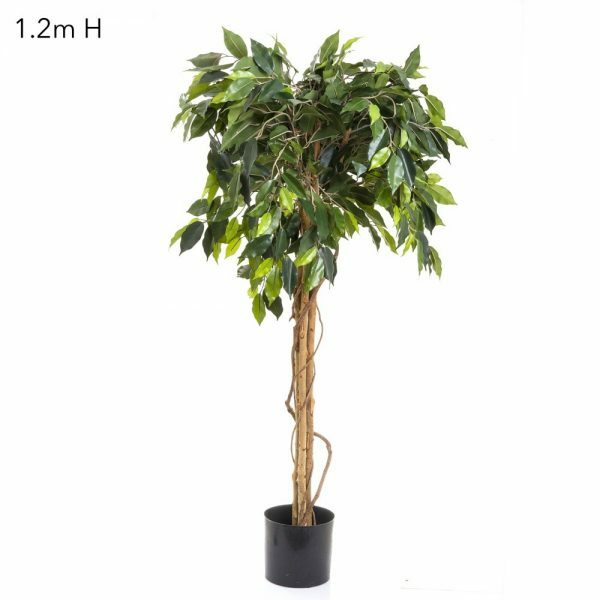 A natural looking artificial plant that will brighten any room. 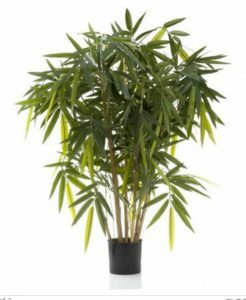 We have artificial Bamboo Trees available in multiple sizes with either two tone artificial baby Bamboo leaves or giant artificial leaves as pictured here. 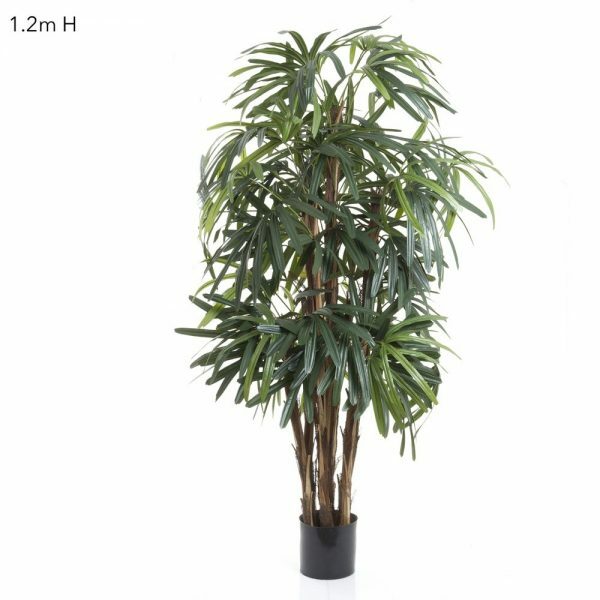 Speak to us today about your requirements for your Quality Artificial Bamboo Tree needs.